Ruth Susswein is Consumer Action’s Deputy Director of National Priorities. Since 2006, she has focused her energies on consumer advocacy, financial literacy, and financial empowerment on behalf of underrepresented consumers. 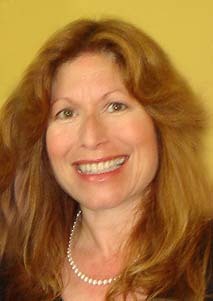 Susswein works to ensure that the Complaints division of the federal Consumer Financial Protection Bureau (CFPB) is providing maximum possible benefit to consumers through its public complaint database and financial complaint process, as the chair of committees for the umbrella consumer group Americans for Financial Reform (AFR). Since its inception, she has advocated to help the CFPB create a comprehensive complaint handling system with state-of-the-art complaint resolution capabilities and public access to detailed complaint information. Susswein worked on passage of federal financial reform legislation (Dodd-Frank), concentrating on the need to create a national, independent consumer financial protection agency. She also advocates for vast improvements in mortgage industry practices and meaningful government actions to help homeowners at risk of foreclosure. Susswein worked to help pass the first credit card legislation in decades, the Credit CARD Act, which has saved consumers millions of dollars from unfair fees and rate hikes. She helps educate community-based organizations on changes in financial consumer protections, credit card law, foreclosure prevention programs, and other personal finance issues, as part of Consumer Action’s free financial empowerment training sessions. Among other things, she leads Consumer Action's editorial team in the planning, writing and editing of Consumer Action’s topical newsletter, Consumer Action News. Susswein joined Consumer Action with long experience in consumer advocacy. Previously, she was the executive director of the national non-profit credit education consumer group Bankcard Holders of America (BHA). Prior to joining BHA, she was the Investigative Consumer reporter for the ABC affiliate in Springfield, MA. where she exposed credit repair scams, second mortgage schemes and unscrupulous practices by landlords and home improvement contractors. She also worked at WABC-TV in New York in the Investigative and Consumer units.